Nothing says Valentine’s Day like Red Velvet Cake and Cheesecake. 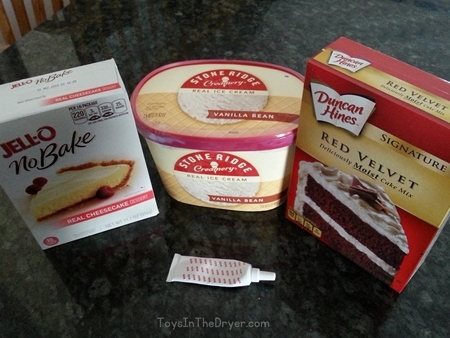 Today we’re combining the two into one super delicious Red Velvet Cheesecake Milkshake! I’ve seen red velvet milkshakes around Pinterest but decided it would be fun to add some cheesecake flavoring in. Just as I thought, my milkshake was rich in flavor and so good! I can’t wait to make one for my girls when they get home from school. I think Hubby might even like these! I’ll admit, I didn’t really measure my ingredients as I mixed them up. I never really measure for milkshakes. For this milkshake, I filled my Magic Bullet large cup with ice cream (3-4 scoops), added two large spoonfuls of cake mix and two large spoonfuls of cheesecake mix, then added a few drops of food coloring. I added milk to fill up the cup about half-way to make blending easier. That’s about it! The cheesecake mix is quite strong in flavor so add less if you want less cheesecake flavor. Add more red velvet mix to get more of that flavor. It’s all about your taste! 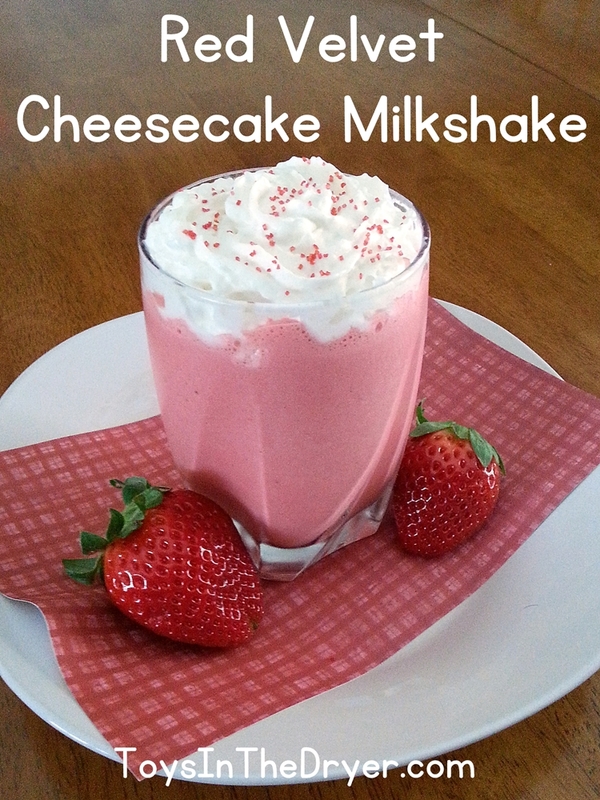 Enjoy this red velvet cheesecake milkshake as a simple snack or as a decadent dessert after your Valentine’s day meal. You could even add a little bit of cake flavored vodka to make an adult beverage out of it! Oh my gosh that sounds delicious. I never would have thought to use that cheesecake mix in a milkshake. I bet you could use the cheesecake pudding dry mix too although I’m not sure if that would make it too thick. Man this looks very yummy. I love red velvet. Thanks for sharing.